Google just launched three experimental photography apps on Product Hunt. 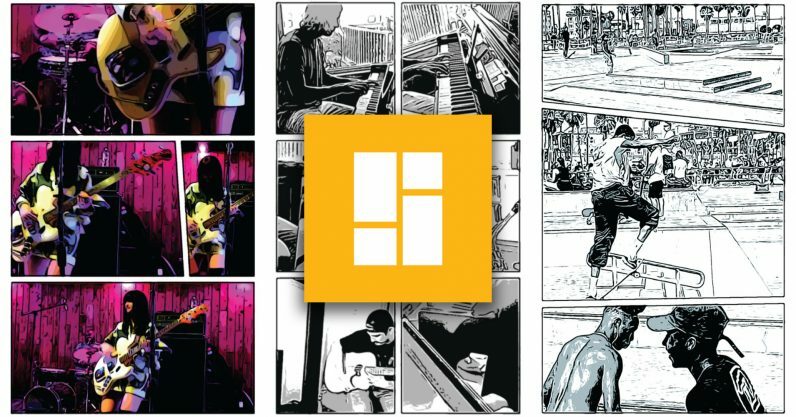 My favorite one is Storyboard, which lets you automatically turn your videos into a one-page comic strip. It’s still early days, so the app is super-sparse at the moment. Just load the video into the app, wait a few seconds, and Google will throw out a comic strip with stylized effects. And that’s about it. You can pull down to refresh the storyboard with a different set of panels or styles, but you can’t manually edit panels or the layout. As it stands, the app is a bit too barebones for my liking, but it’s easy to see how with a bit more meat it could become a popular choice for the Instagram crowd. Even just letting you add more pages to the comic book would make it a lot more enticing. If Google let me pick the frames used in panels, rearrange the layout, and add captions or speech bubbles, it’d be a lot of fun. Still, it’s worth giving a shot, although be warned it’s an Android exclusive. You can download the app here, or check out Google’s other two experimental apps here.